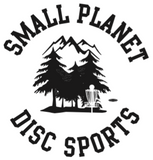 The Disc Golf Starter Set makes it easier than ever to start playing disc golf immediately. The Starter Set includes all the discs you need to start playing disc golf: a driver disc, a mid-range disc and a putter disc. * Discs weight range and colours will vary to suit player gender and body built.